The only downside to enjoying a day out on a lake, river or lagoon in a kayak is that while you can take in all of the beautiful scenery above the surface, you can’t see underwater wonders like fish and coral. 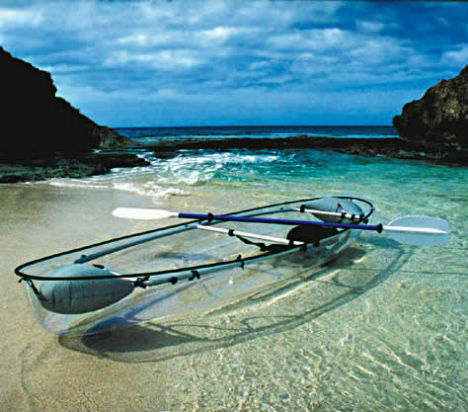 But transparent kayaks and canoes give you the best of both worlds: unencumbered views both above and below. 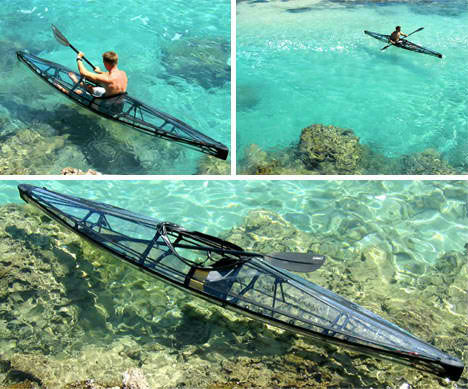 Described as a hybrid canoe/kayak, the two-seater Molokini by Clear Blue Hawaii is made of durable polycarbonate, the same material used to make bulletproof glass and jet canopies. 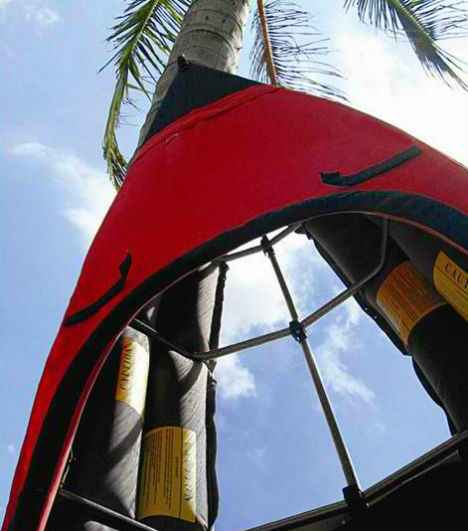 The Molokini comes with dual flotation bladders and a removable lightweight aluminum frame system. Tests in Oahu have confirmed visibility on a sunny day and in non-turbulent water conditions reaching up to 75 feet below the surface of the water. 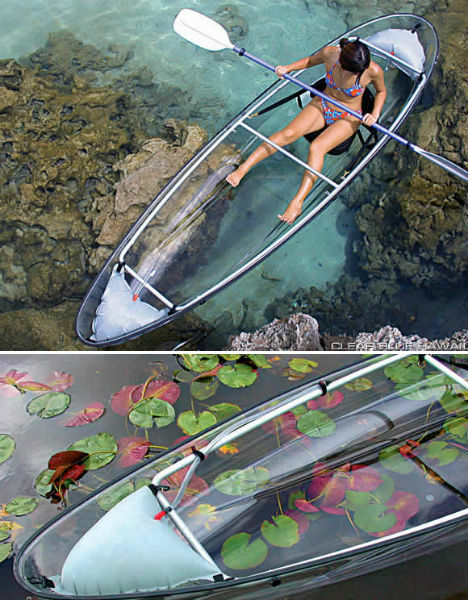 Not only is this kayak entirely transparent, it’ll also fold up small enough to fit in your backpack. 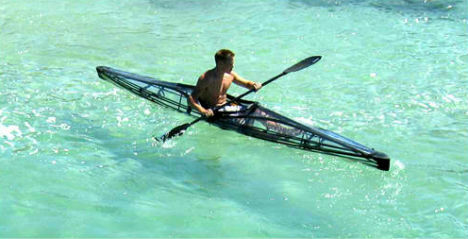 The one-person kayak is capable of carrying up to 300 pounds and unlike the clear canoe, can be used in ‘challenging’ water conditions. This slightly less pricey option combines the looks of a conventional folding kayak with a clear floor that will still give you beautiful views of the water below.